My cute two year old is sitting at the kitchen table. Surrounded by a giant puddle of milk. It’s dripping off the table, onto the floor. A cheeky and triumphant smile on her face. She has managed to pour it herself. The fact that she has mostly missed the plastic cup doesn’t deter her. “More Milk!” she barks. She will happily drink gallons of the stuff, whilst her twin won’t even touch it. Should I worry? Should I be concerned about how much milk my children drink? I know that it's really important for bone development, an important part of kid's health. Like everything in life, it depends on many things. Children over the age of one, should drink mostly water. 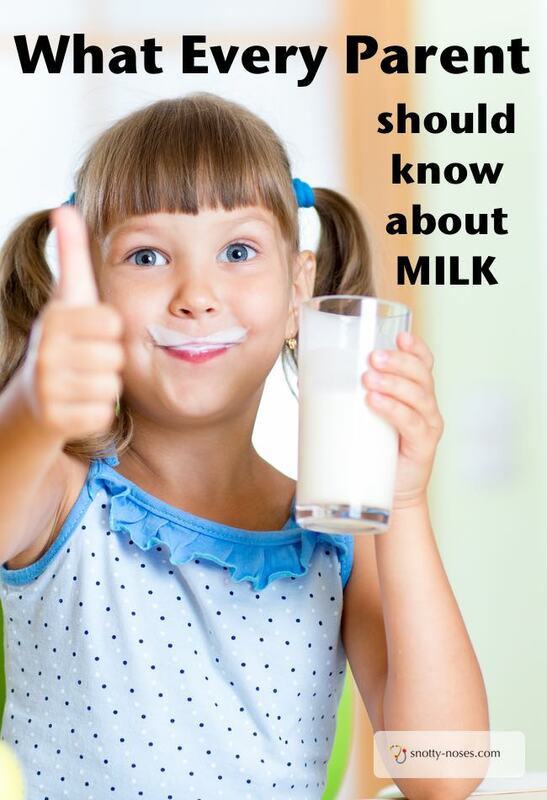 Milk is a great source of calcium which your kids need for their growing bones. It’s perfectly possible to get that calcium from other sources. Dairy sources of calcium include yoghurt and cheese. Children aged 2-3 need 2 cups of milk or equivalent. An example would be 1 cup of calcium-fortified soy milk and 1/2 a cup of shredded cheese.) Check out the conversions at MyPlate as it gets a little complicated. Children aged 4-8 need 2 1/2 cups or equivalent. Chocolate milk normally has lots of sugar in it. Think of it like a fizzy drink in terms of treats! Cheese is very fatty and considered by MyPlate to be ‘extra calories’. i.e. lots of calories with little nutritional benefit. To me, that translates as ‘eat it in moderation’. In my opinion, full fat cow’s milk (or equivalent) is fine if you have a healthy diet. Follow-on formulas are an added expense. What if my Kids don’t Drink enough Milk? You don’t need to worry as long as they get their calcium from another source. They don’t have to ‘drink’ it all. It’s easy to get enough if you put it on your breakfast cereal or eat yoghurt or cheese. Or you can try other non diary sources. 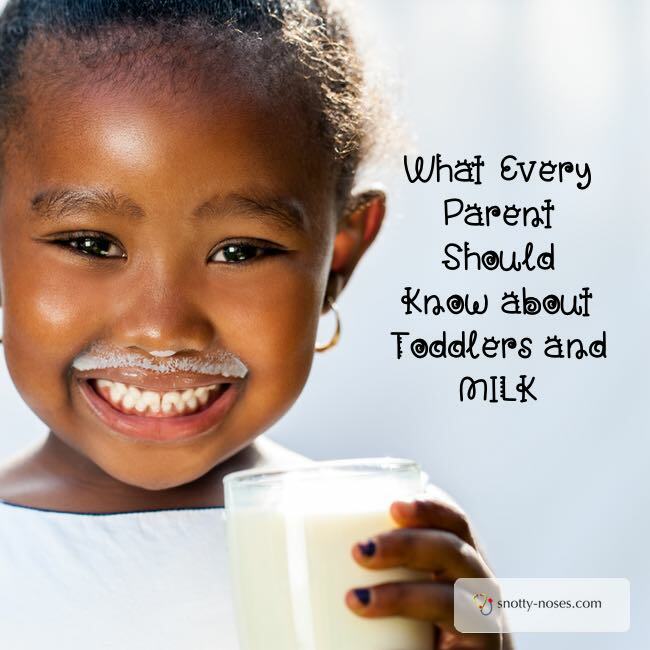 What if my Toddler drinks Loads of Milk? That depends on exactly how much they are drinking. If their diet as a whole is balanced, they eat fruit and vegetables and get a bit from each food group, then it probably doesn’t matter. The worry is that they drink only milk and then don’t eat the other stuff. Go chat to your doctor if you’re worried. Now all I need to do is work on those pouring skills. Or make sure I put the milk away properly!